Inspire Children’s Nursery is a place where kids can learn, grow and evolve into conscientious global citizens of the 21st century! Inspire Children’s Nursery has served the community as an early learning centre catering for children from the ages of 3 months to 4 years. 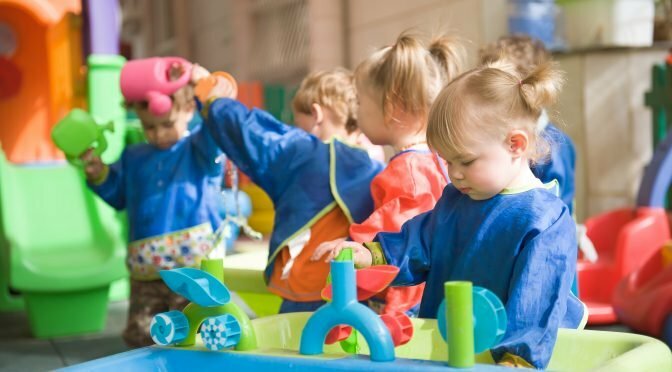 The mission is to provide a safe, nurturing, and stimulating environment with an individualized, family-centered approach to early childhood education, thereby ensuring the best outcomes for all children. With spacious, naturally-lit classrooms, and plenty of community spaces for the little ones to explore, Inspire is housed in a beautiful villa spanning over 17,500 sq. ft.
Quiet, separate nursery for young babies. A large, shaded natural garden and play area. Nature garden for botanical activities. A soft-floored outdoor play area. Music room & yoga studio. Community play area with reading, arts, crafts and construction corners. Large indoor soft play area. Fully-equipped clinic with a qualified nurse. A full kitchen with dining area.